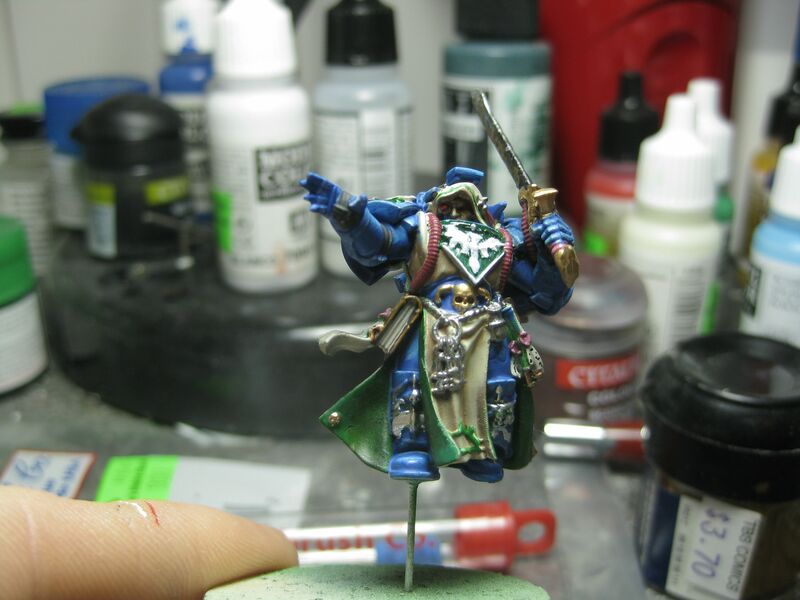 Just to show you that I truly am working on things here’s a quick peek at my Dark Angels librarian Turmiel. He’s basically done. 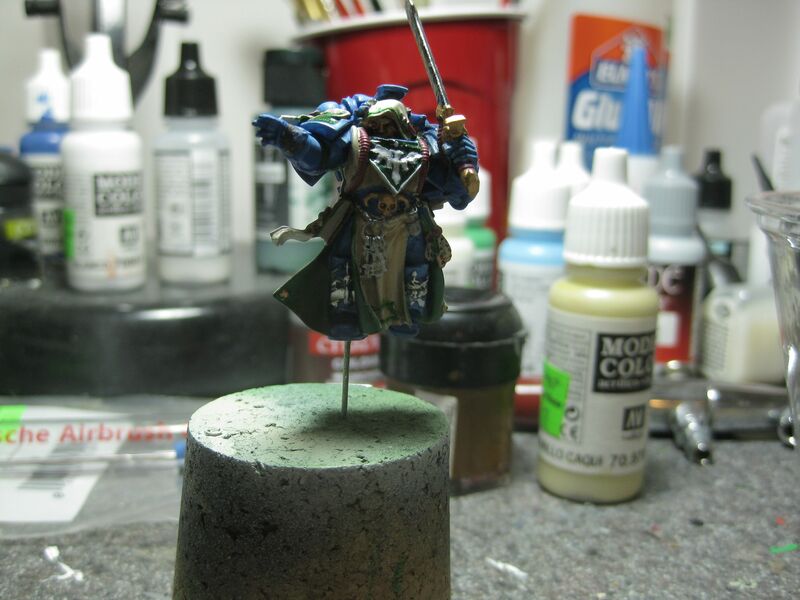 The only things I have left to do is his base, clear coat, and a oil wash. I hope to have an actual light box, so I can take better pictures of my miniatures. As it stands, none of the pictures I’ve been taking I feel have really shown off how nice some of my things look. You can be assured that once I do have a light box; I’ll be posting pictures left and right. As always, I’d love to hear you thoughts.